World Immunisation Week, last week in April. To make authoritative information about the skin available to anyone in the world with an internet connection. 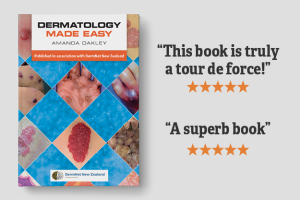 DermNet NZ was founded 23 years ago by a group of Dermatologists from New Zealand. 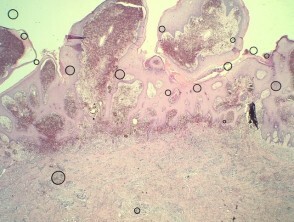 It has become a world-renowned resource of skin disease information. A splinter haemorrhage is a longitudinal, red-brown haemorrhage under a nail and looks like a wood splinter. 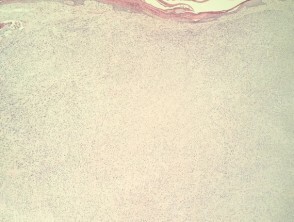 Sponsored content: melanomas are notoriously difficult to discover and diagnose. IgE is an abbreviation for immunoglobulin E, an antibody produced during a Type 1 hypersensitivity reaction to an allergen. 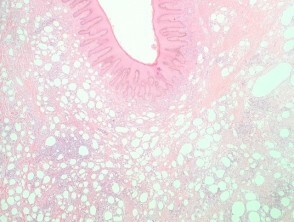 Peanut allergy is an adverse immune response to a peanut allergen. 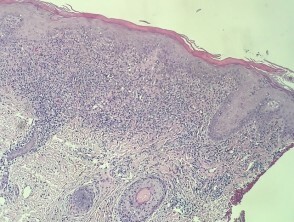 Spindle cell melanoma is a rare histological variant of melanoma characterised by the presence of spindle-shaped melanocytes . 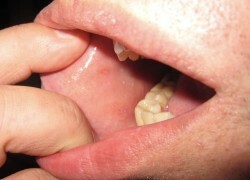 Legius syndrome is a rare genetic disorder first described in 2007 . 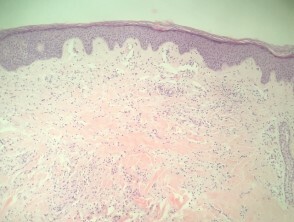 Annular lichenoid dermatitis of youth is a rare skin condition first described in 2003 . 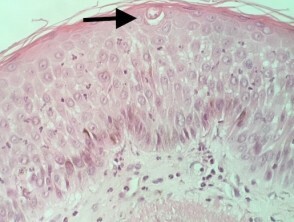 Erythema gyratum repens is a rare paraneoplastic type of annular erythema with a distinctive figurate ‘wood-grain’ appearance. 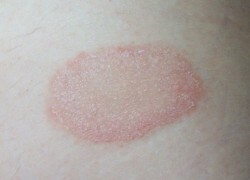 Urticaria is a condition characterised by the presence of hives/weals (also spelt wheals) and/or angioedema [1,2]. 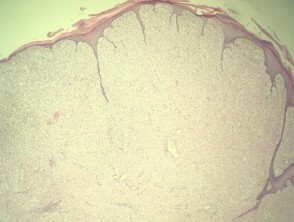 Naevus simplex is a common, benign capillary vascular malformation. 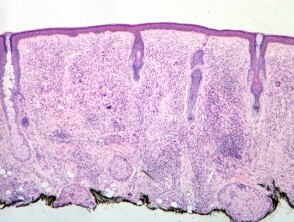 Eruptive xanthoma presents as crops of pink papules which are often pruritic. 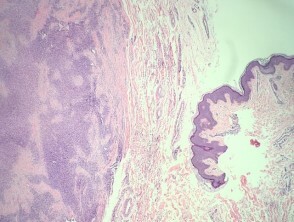 Verrucous haemangioma presents as blue-red, vascular papules, plaques or nodules, which later become warty in appearance. 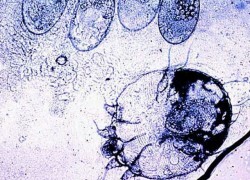 Myiasis is infestation by the larvae of fly species within the arthropod order Diptera (the adult flies are two-winged). 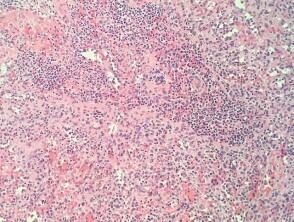 Systemic amyloidosis caused by the buildup of amyloid in various organs. 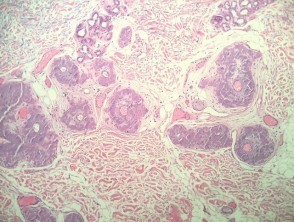 Epithelioid hemangioma is a benign vascular lesion of the skin or deeper structures (bone). 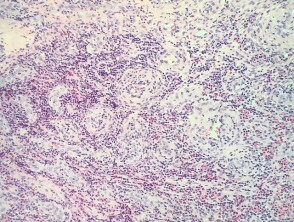 Chickenpox is caused by primary infection with the varicella-zoster virus, of the Herpesviridae family. 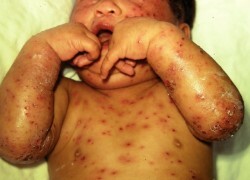 Meningococcal disease is an illness caused by the bacteria Neisseria meningitidis. Chickenpox is a highly contagious viral infection that causes an acute fever and blistered rash, mainly in children. 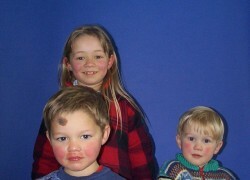 Erythema infectiosum is a common childhood infection causing a slapped cheek appearance and a rash. 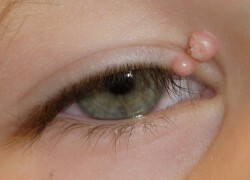 What is impetigo?Impetigo is a common acute superficial bacterial skin infection (pyoderma). Hand foot and mouth disease (HFM) is a common mild and short-lasting viral infection most often affecting young children. 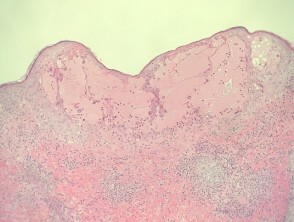 A viral wart is a very common growth of the skin caused by infection with human papillomavirus (HPV). Head lice are small, wingless insects that infest the human scalp. 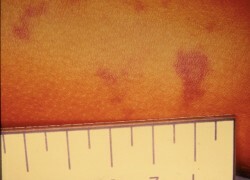 Scabies is a very itchy rash caused by a parasitic mite that burrows in the skin surface. Are you interested in writing for us? DermNet New Zealand is always looking for potential authors to write on new topics. Potential authors interested in writing a new page are generally asked to write a topic page on either a disease or condition, or a treatment, product or procedure.